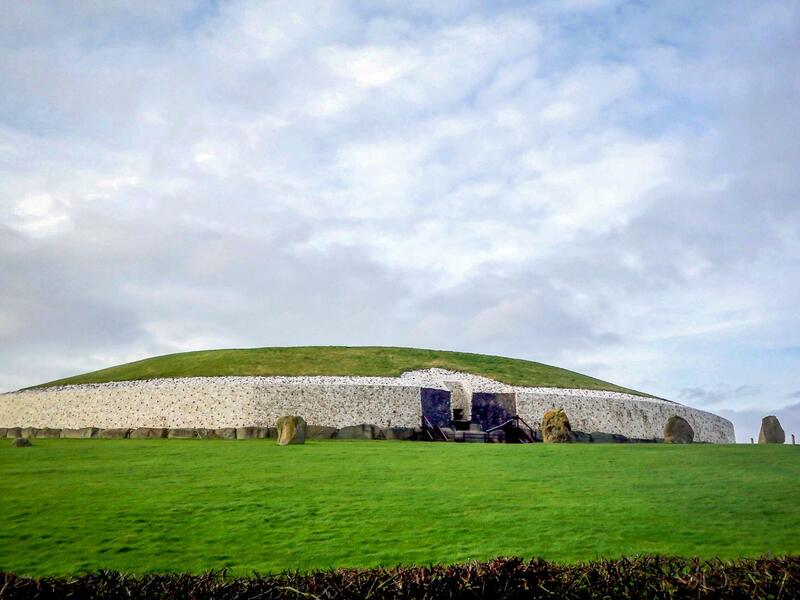 On our way back to Dublin, we stopped at Newgrange. 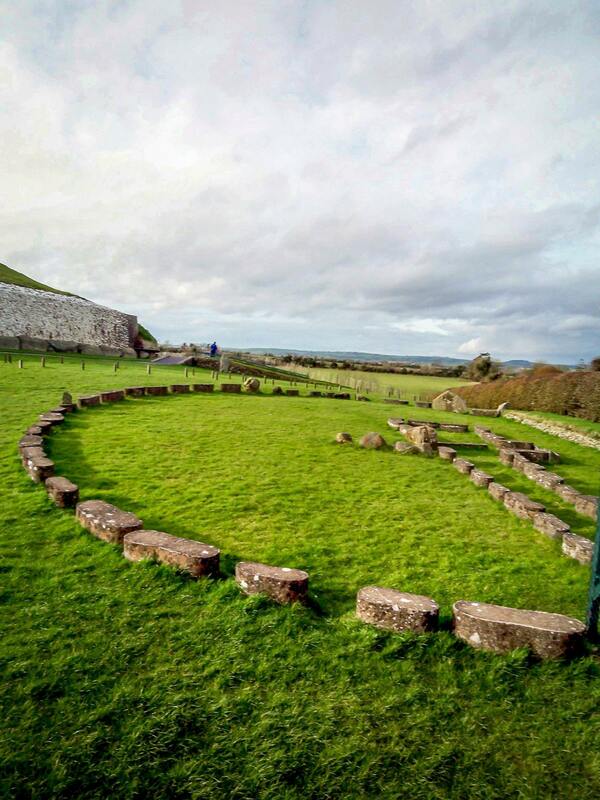 In the summer, the site buzzes with visitors arriving hours in advance for an opportunity to enter the 5000-year-old mound. 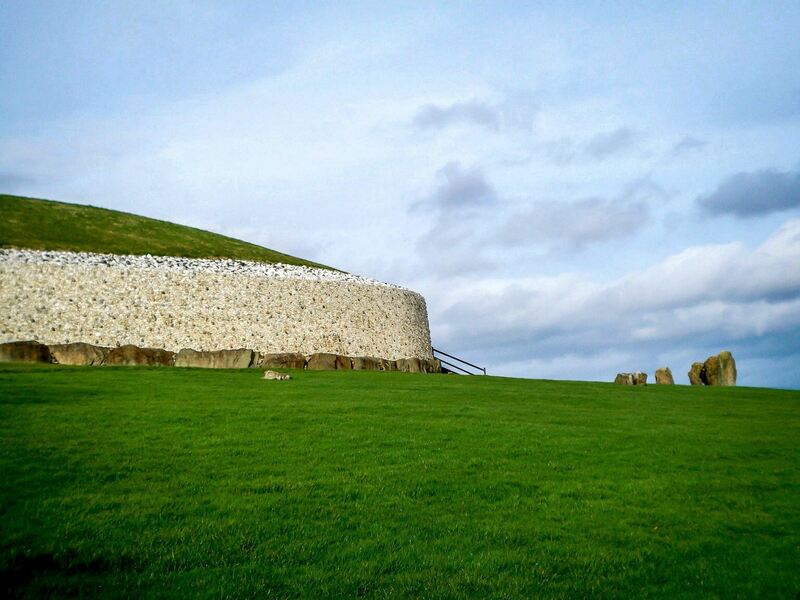 We were lucky — in the off-season of March, we had only five other tourists on our bus out to the Newgrange site. Like Malta’s megalithic temple Hagar Qim and other sites from a similar time, much about Newgrange is a mystery. 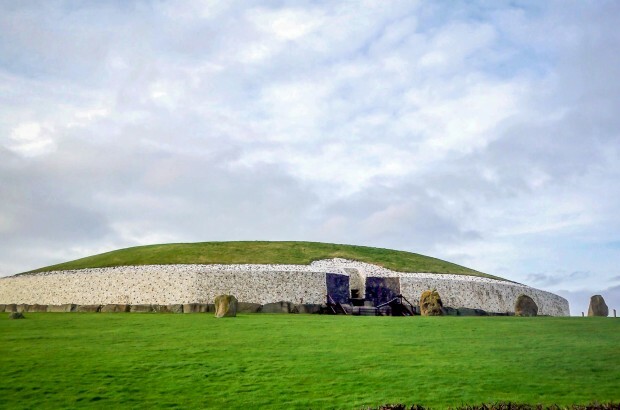 Archaeologists do know that the famous passage tomb had religious, astrological, and ceremonial importance when it was built in 3200 B.C. (500 years before the Pyramids of Egypt and 1000 years before Stonehenge). During the winter solstice, a sunbeam precisely enters the chamber, illuminating everything in its path for 17 minutes. The experience is reportedly spectacular, drawing thousands each year to wait for the precise moment the sun enters the room. While we didn’t have the pleasure of being there for solstice, we certainly experienced the eerie majesty of the ancient, intricately-constructed site and the surrounding hillside about which so little is known. 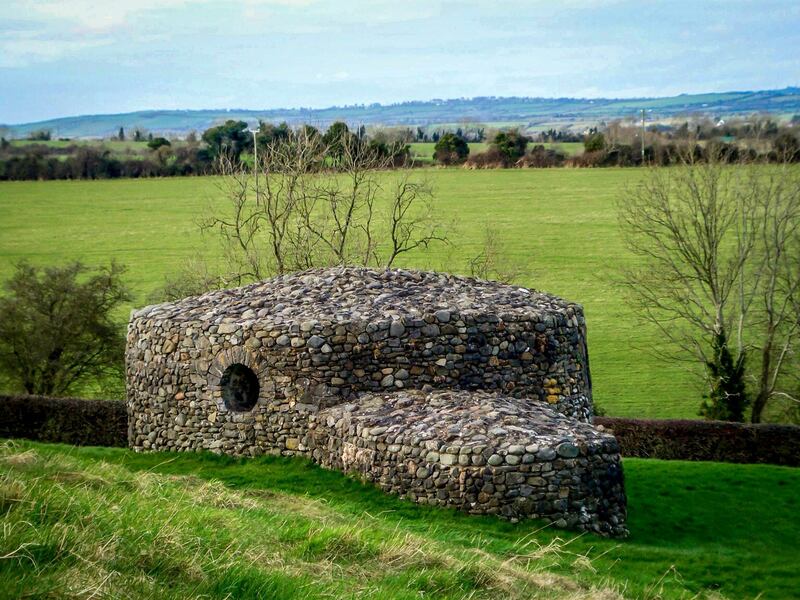 Although photos inside the tomb are not allowed, we spent a long time taking photos outside to provide a sense of what the Newgrange site is about. 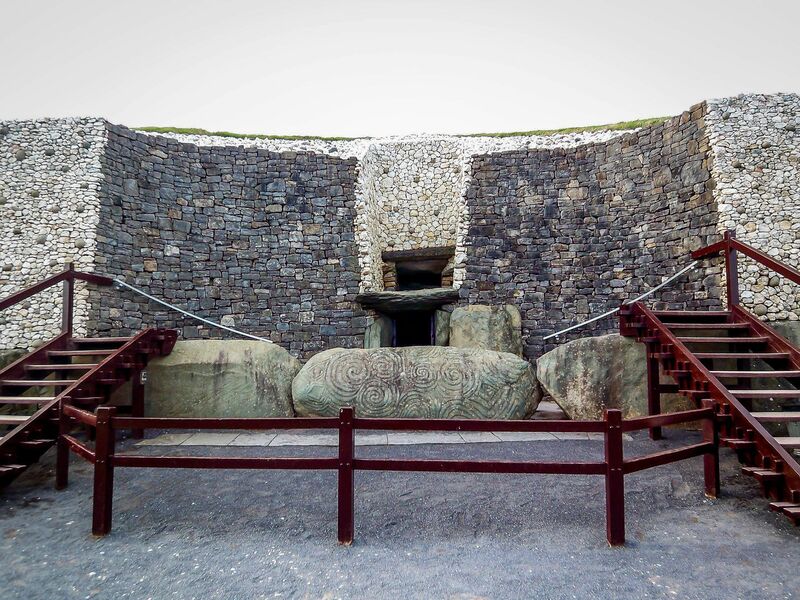 What do you think about One of the World’s Most Ancient Sites — Newgrange Passage Tomb in Photos? 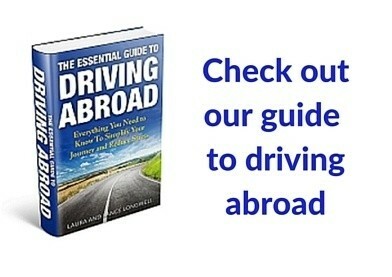 I’m really sorry we missed this site when we were in Ireland last spring. Why don’t they allow photos (even non-flash) inside the tomb? Is there a museum? In the past, some of the heritage sites in Ireland have sustained damage due to camera crews, so they have the photo policy to (hopefully) minimize it. That said, there is an excellent museum that has a re-creation of the tomb that you can take a photo of. Interesting spot. The tomb looks very well preserved. 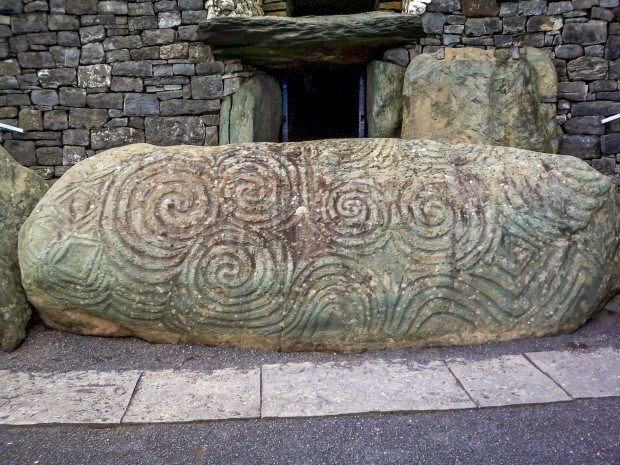 I’ll have to add Newgrange Passage Tomb to my Ireland list.